Southwire's 18/2 FAS/LVT fire alarm rated cable is used for interconnection of electrical devices within a security and fire protective signalling system. Black and white twisted copper conductors with an overall red jacket. 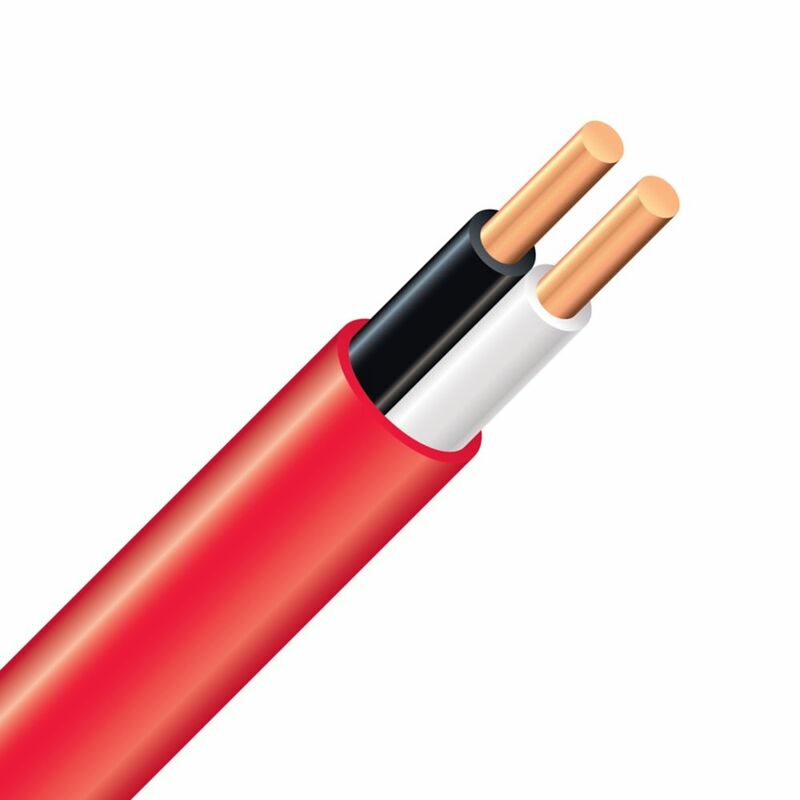 FAS/LVT Copper Fire Alarm Rated Electrical Cable - 18/2 Red 150m Southwire's 18/2 FAS/LVT fire alarm rated cable is used for interconnection of electrical devices within a security and fire protective signalling system.